A black and white night photogaph of the lovely Church Of The Good Shepherd in Lake Tekapo, New Zealand. Identity is such an important thing. And I’m not referring to the label imposed upon each of us through job title, relationship status or physical appearance. I’m talking about your true, independent self which emerges through the creative process. Without a clear idea of who you are, how can you possibly understand your true life’s purpose. Paying attention to your inner self, through the art you make, is perhaps the best way to nurture it. And the more often you do that, the more you’ll be able to live your life the way you’re supposed to be living it. Imagine no longer being a slave to one or more identities (e.g., wife, sales rep, soccer mum) that have been imposed upon you. Your future will be as an independent, meaning seeking being connected to the beauty that exists on the edge of our normal, everyday experience. Lupins at sunset in front of the Church Of The Good Shepherd in Lake Tekapo, New Zealand. The photo at the very top of this post was made at the Church of the Good Shepherd at Lake Tekapo on the South Island of New Zealand. It was a very cold but, fortunately, relatively clear evening which was great for night photography. 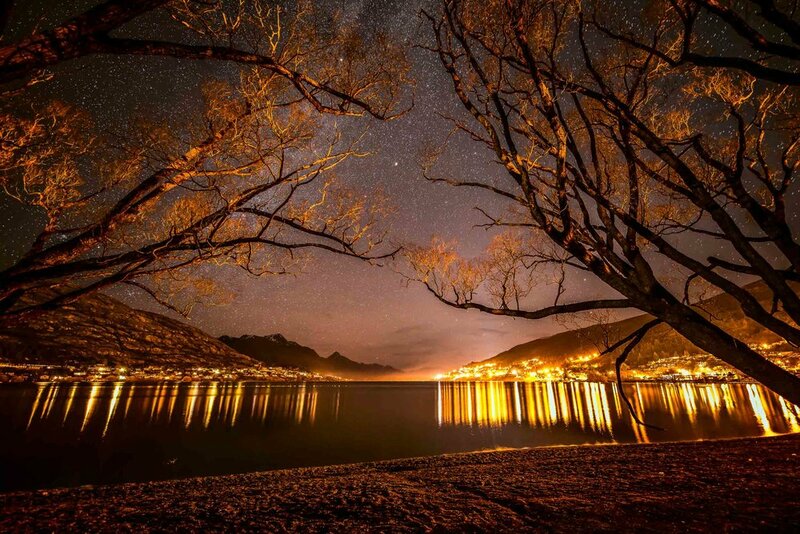 Artificially illuminated trees and a star filled night sky over Lake Wakatipu in Queenstown, New Zealand. So sang Joni Mitchell in her song, Woodstock. The lyrics to this song are meaning rich and worthy of contemplation. What’s more they serve to lead us all to take the type of action that will enable us to calm our mind, awaken our inner child and connect, at a deeper and more profound level, with the world around us. Through story telling, symbolism and metaphor Joni Mitchell’s Woodstock conveys the essence of that famous historical event and touches on some of the essential concerns associated with the counter culture movement of that time. Surely, the need for us to tune out from the noise of the everyday and the expectations placed upon us by society are more important than ever. In doing so we open the door that will allow us to connect, at a deeper level, to what's most important: our own, true life’s journey. 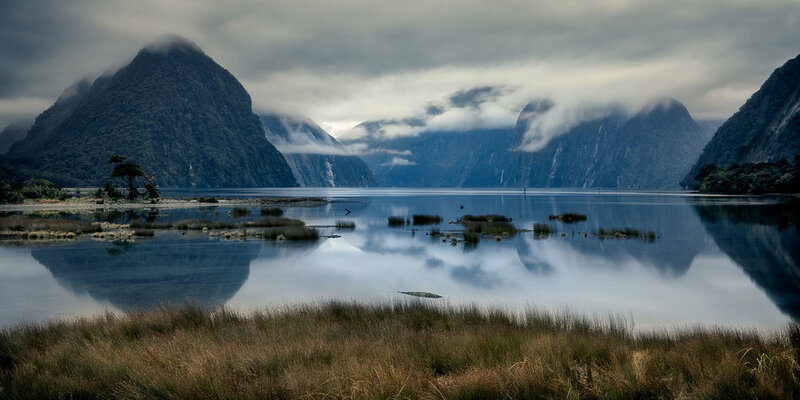 Tranquility and peace awaits the visitor at the beautiful Milford Sound on the South Island of New Zealand. Starlight takes a long, long time to reach us. When we look at the night sky we’re actually looking back thousands of years into the past. Surely, that concept along is worth thinking on. The notion of each of us being stardust and, therefore, connected to each other, our environment, the distant past and the universe is a beautiful and profound notion. Some might see their relationship with the universe to be primarily a spiritual one where the notion of stardust can be envisaged as a personal god living inside each of us. More and more I feel like that notion of a personal god and my own, true inner being are one and the same. 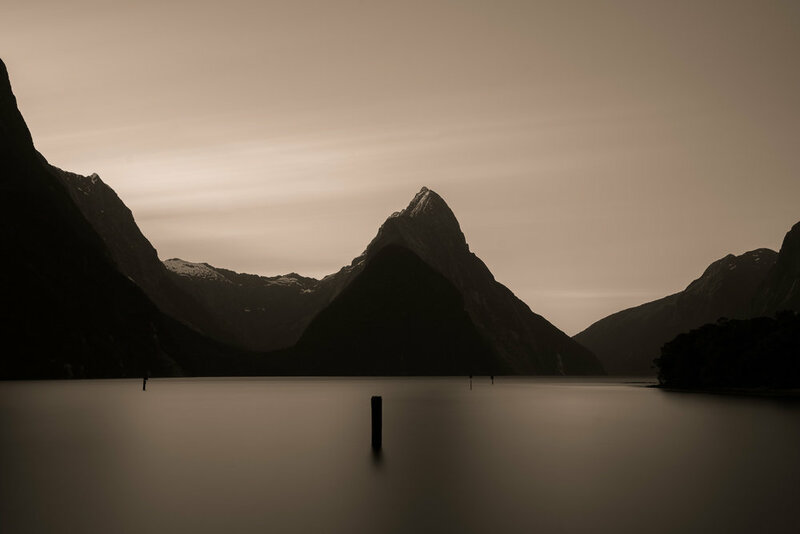 A small boat moored near a tiny island on Lake Wakatipu in Queensland, New Zealand. Are You Wandering Through Your Life? I love photographing churches, particularly stained glass windows. But, just like Cain, it is in the Land of Nod where I’ve wandered longest. Do you also feel that, somehow, you’re a wanderer who exists in the land of wandering? I think this question is at the heart of the Human Condition. It’s not where we are or what happens to us that’s important, but what we make of it that determines the nature of our existence. Meaning seeking beings seek a deeper connection. The one that sits underneath the chatter in our heads and beyond the emotions that determine our responses to the illusion of the forms that surround us. All of these things exist but, by paying too much attention to them, we live a life of distraction at the cost of connection with our true inner self. Connection is vital to realizing our true identity and our life’s purpose. And the best way to connect isn't by deigning the existance of these things, because they are real. We simply have to recognize them for what they are (i.e., distractions) and, in so doing, disempower them. What remains is the real you, which is all that matters. Now that you’re aware of your true inner self you simply need to pay attention to it, on a regular basis, and its presence will grow inside of you. It’s always been there, waiting quietly for you. The trouble is, like me, you’ve just been too distracted by forms, feelings and negative thoughts to pay attention to it. Am I right? And of course it takes constant vigilance to keep your true self front and centre, as the distractions of life will always try to reassert control. A fast flowing creek near Milford Sound on the South Island of New Zealand. The ultimate journey is to be able to tap into the beauty on the edge of understanding. You can do this through involvement with life affirming and creative endeavours. Living a creative life is so essential to our own state of well being and our ability to positively influence the course of events around us. Creativity is the path by which we travel along the ultimate journey and it’s the connection that’s at the very heart of the search we undertake as meaning seeking, purpose driven beings. For me that search revolves around photography. Whether I’m making my own photographs or helping others explore their own creativity, photography is the vehicle by which I feel I’m living the life I was born to live.